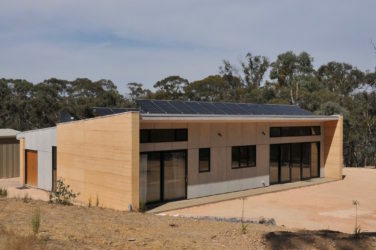 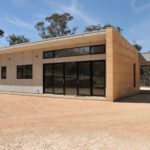 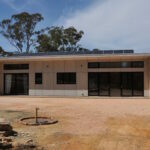 This house is located on a large treed block north of Castlemaine in Central Victoria. 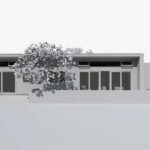 The site has been re-worked to create a building platform that allows the house to orient to an open terrace to the north. 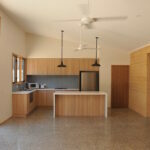 The living zones and main bedroom all share the north solar access and views to the terrace. 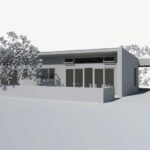 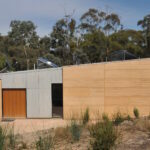 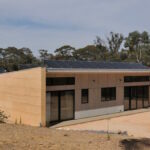 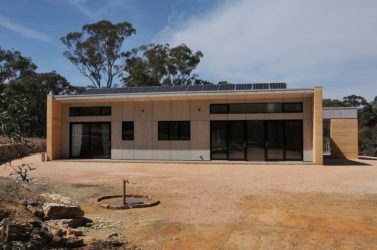 The house produces its own water and electricity with an off grid PV system and reticulated rain water collection and storage system. 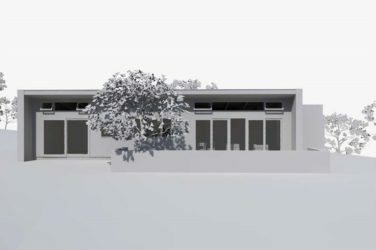 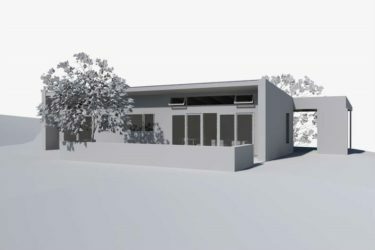 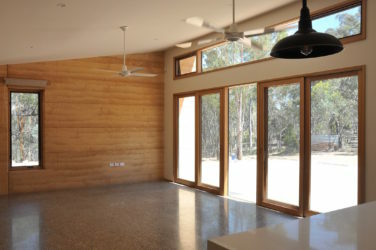 The house has been designed for a bushfire attack level of BAL 40. 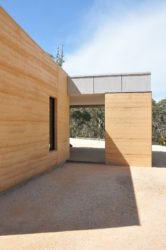 The house is constructed using thermal mass to moderate summer and winter temperature extremes. 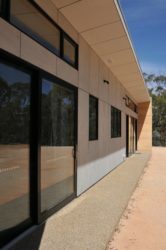 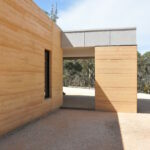 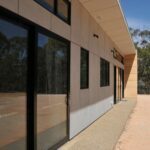 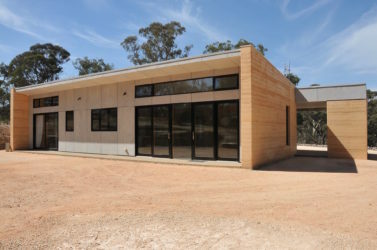 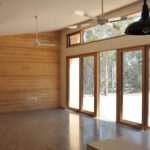 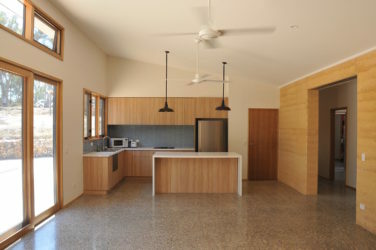 Massive insulated rammed earth walls enclose the major living spaces and are used define the primary circulation. 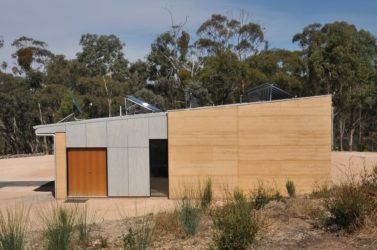 Materials are used in their raw state with polished concrete, rammed earth and compressed fiber cement sheet.